For their last hurrah before school started, Lincoln Girl Scouts Cadette Troop 1107 took an extended trip to the coastal town of Santa Cruz. 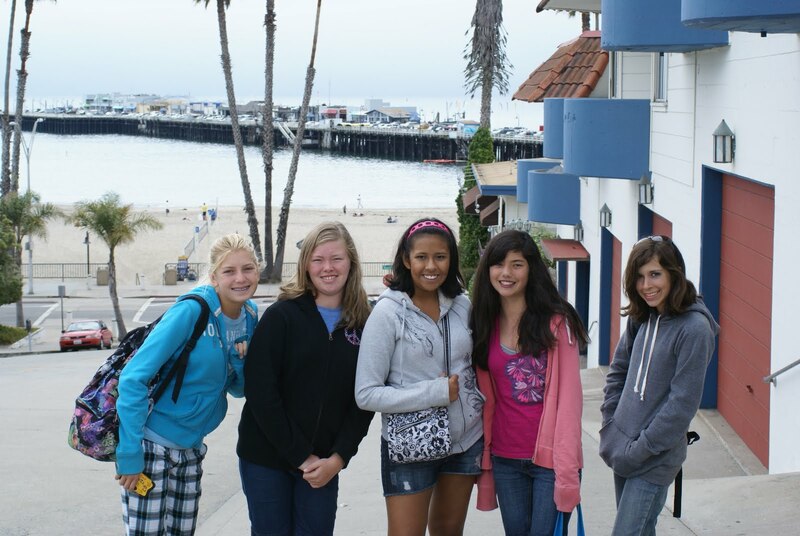 In Girl Scouts, an extended trip requires advanced planning, which the girls did during the spring and summer months before taking off to the beach. Paperwork, budgeting, meal planning, grocery shopping and mapping routes are just a few of the details that needed addressing before the girls could gain permission from Council to hit the road. Once they were given permission, it was “Santa Cruz, here we come!” The girls spent three nights at the Santa Cruz Hostel, a beautiful Victorian multi-building complex just two short blocks from the Boardwalk. They slept dormitory-style, and prepared and ate most of their meals in beautifully-equipped kitchen and dining room accommodations. Among the highlights of their trip were the carnival rides on the Boardwalk (of course!) a trip to the nearby Mystery Spot, a day at the beach, and a fancy dinner out at a lovely Wharf restaurant. Not only did Troop 1107 have loads of fun, but they also learned the importance of planning ahead and being prepared for the unexpected while away from home. Now, as seasoned travelers, they are also eager to share their experiences with other troops who might be interested in planning an extended trip of their own. What a great way to spend your summer vacation! Go Girl Scouts! Previous Post Want to be a Program Aide?